I awoke this morning to the familiar Firefox update alert. 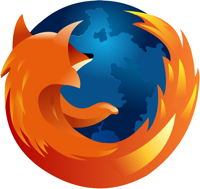 It appears that the industrious folks at Mozilla have released version 2.0.0.8 of their Firefox browser. The first thing I noticed is that with this release Firefox is officially compatible with Mac OS X 10.5 (Leopard). That's excellent news considering I have a few Leopard upgrades on the horizon. Still, all is not happy on the Leopard front as there are still some annoying problems. Of course some of these issues (ahem, Flash) may be considered a blessing in disguise. The most important part of any software upgrade is the security fixes. I've included the fixes in the table below (after the jump for some). You can click on the MFSA ID to get more information on the fix.